As someone who has juggled a career along with writing in multiple genres, C. Dale Young has been a source of inspiration for me, not just for his writing (which is superb) but also for his commitment to his craft. Hope you enjoy the interview. Although this is a common question, it is also an incredibly difficult one to answer. I suspect my response, if asked about literary influences, would change daily, if not hourly. I will answer this from a slightly different perspective, answer it without the “influence” part. After my first year of graduate school, I felt as if I were not cut out to be a writer. I felt discouraged and decided to quit. A teacher of mine, the poet Donald Justice, told me to just keep going. He told me he felt I understood what made a poem a poem. To say this encouragement was huge at the time would be an understatement. And again, in my last semester of graduate school, when I worried that I would never write poems again once I started medical school, it was Don who told me: “You always find time to do the things you want to do.” That statement is one I have carried with me ever since. It gave me permission to become a doctor and to keep on writing. So, I would say Don has been a pivotal presence for me, one without whom I am not sure I would be writing today. With poems, I tend to come up with the last line first. I sometimes carry it around for months. Eventually I come up with a first line. The mystery of writing the poem for me is connecting the A to the Z. I draft fairly quickly. I might spend two or three hours getting down a draft. In revision, it could take months or years for me to get the poem to the point where I would send it out to a magazine or journal. With fiction, I never have any idea how it ends. I come up with a sentence. I toy around with it until I am sure it isn’t a line for a poem. And then, I just rush headlong into it. I bang it out. And then, as with poems, it could take months to years for me to get the story ready for publication. How has your profession as a physician impacted your own writing? Medicine takes up 50-60 hours or more of my time each week. It means I have to always work to be a writer. I have to make time to read, time to draft, time to revise. I do so early in the morning before work, on weekends or days off. I always feel the urgency of time or, better yet, the lack of time. Don’t worry. You already have a voice. All you need is to become comfortable with the tools to let that voice be heard. So read, read widely. Don’t be wed to any draft. Remember that revision means re vision, to look again. No one else on this earth has your exact life and experience. So, spend your time worrying about something other than “your voice.” It comes whether you like it or not. How has your work as a magazine editor and teacher impacted your creative process? I edited poetry for the New England Review for 19 years. It taught me not to take rejection seriously. It also taught me that publishing is not writing. So what if someone rejects your poem or story. Send it out again. Editors do not owe us anything because we send work unsolicited. Being an editor taught me to have thicker skin, to not be rude as a writer. I might think my poem is the next great ode, but chances are it isn’t. As for my actual creative process, neither editing nor teaching has much impacted it other than limiting my time. Writing is, after all, a solitary act. As a writer who engages with other writers and readers in a blog and on Facebook, what advice can you give about the role of social media in a writer’s development? Social media can be great for helping one feel s/he is part of a community. But it can also be a huge distraction. People love controversy within social media. There are the fights and the always present bullying. Will social media help one develop as a writer? I doubt it. Can it help you find like-minded souls? Yes. Can those like-minded souls introduce you to things and books that might change your life? Yes. But do you need social media to develop as a writer? No. I finished a linked collection of stories last year. I wanted to write one more story about the main character’s mother. But I quickly realized it was something larger than a short story. So, I am writing a novel. It is in a sense a prequel to the linked collection of stories. It deals with the three generations of this family that precede the main character in the linked story collection. At this point, I have written about 60,000 words (roughly 265 pages of manuscript). I feel I am about 70% done. I am just banging it out, typos and all. Once I have the whole draft down, the real work will begin. Rick Barot’s Chord, his recently published collection of poems, is truly magnificent. I have already read it twice. I also recently re-read Peter Cameron’s Coral Glynn and marveled at his economy of language and the ways in which he can manipulate image across an entire novel. I have also been re-reading some of Eudora Welty’s stories. My God, she is just so sickeningly good. Writing means everything to me. I could give up many things in my life, but I cannot imagine not writing. With that said, writing is a privilege. One writes when one can. I don’t believe in overcoming adversity as a writer, but I am biased, terribly biased. I watch people work to overcome cancer every day. That is adversity. Writers, myself included, love to wallow in the misery of this slight or that slight. But that isn’t really writing any way. That is the business of writing. When you are deep in the process of drafting, when time stops and you are outside of time absorbed in getting the words down, in getting the words right, that is writing. And that is an incredible thing. The rest of it is all business. I have overcome many adversities in my life, but none related to writing. Maybe I am the lesser for that. Just before starting college, I was in a terrible auto accident. I broke my neck. It is surprising enough I am alive. It is surprising enough I can walk. I was originally told I might not walk again. But I did. I may appear crazed in my constant desire to work, but it betrays something very different than ambition. I think many think I am just overly ambitious. I’m not. I work hard and work so much because I know I am on borrowed time. I became a doctor and practice medicine because I owed it to those people who saved me to do the same for others. I feel grateful every day to be alive, to walk. I live with an immense amount of pain, but I am alive. I will work hard and write until the day they roll me into the grave, because I know this is borrowed time. I escaped the grave once before. I may not escape it the next time. C. Dale Young is the author of four collections of poetry including The Halo, forthcoming from Four Way Books in early 2016, and a collection of stories The Affliction, due out from Four Way Books in early 2018. A recipient of fellowships from the National Endowment for the Arts, the John Simon Guggenheim Memorial Foundation, and the Rockefeller Foundation, he practices medicine full-time and teaches in the Warren Wilson MFA Program for Writers. Richard Garcia, aside from being one of America’s premier poets, is a teacher who has had more impact on my writing than anyone else. His voice is still in my ear as I work, telling me to take risks, to find the poem outside of the poem you thought you were writing. His students — past and present — love him and his impact goes way beyond his righteous books of poetry. Many writings I would have read in my late teens and early twenties, the coming of age time. Mostly in a more imaginative mode, Spanish, French, and South American. Surrealism and fabulism. But what made me want to begin in earnest was reading Whispering to Fool the Wind by Alberto Rios. It was very much like I had wanted to write when I had written some years before, and although I was not writing when I read his book, it did make me feel like I could get on the right track. I liked his American, Mexican, playful, dark and serious humor. I was at a reading listening to a poet answer that question and it seemed to me that everything she was describing was part of a ritual. Get up at this time, coffee, go to the place, sharpen the pencil, not just any pencil but the #2 such-and-such, now get the pad that you like to write in… So if you do this every day in just this manner every day, she will come, the muse will come to you. So many of your former students have had successes of their own. How has being a teacher affected your own writing? By learning to teach I have learned to teach myself. Try to ignore your subject matter, your obsessions. Suppress the agenda. Go into the place. Your subject matter will be waiting there for you anyway. It may be in an unfamiliar guise or in disguise, and you won’t recognize it. But don’t worry, it will find you. As for voice remember that you are more than one person. You have voices you don’t know about, and they don’t even know each other. I loved your prose poem book The Chair. Do you have a different process for writing prose poems? Sometimes I can’t get the lines right, and then I notice that the narrative has a fable-like quality. Then I know it is a prose poem. The prose poem might be pissed. It coulda been a poem or even a story. But now it knows it won’t get to be in those nice lines and stanzas. And even if it is a story, it will be a story in which nothing happens. I have been finding poems in my laptop files. It is easier to find poems than to write poems. Of course there are the heroes that overcome real trouble. As for myself I think of the adversity of the everyday. Even without outside help I can provide my own adversity. I am my own adversity. Having no adversity can be an adversity. I can play the jaw harp. I am really a sensitive guy. Poet and writer Richard Garcia was born in San Francisco and started writing in his teenage years. 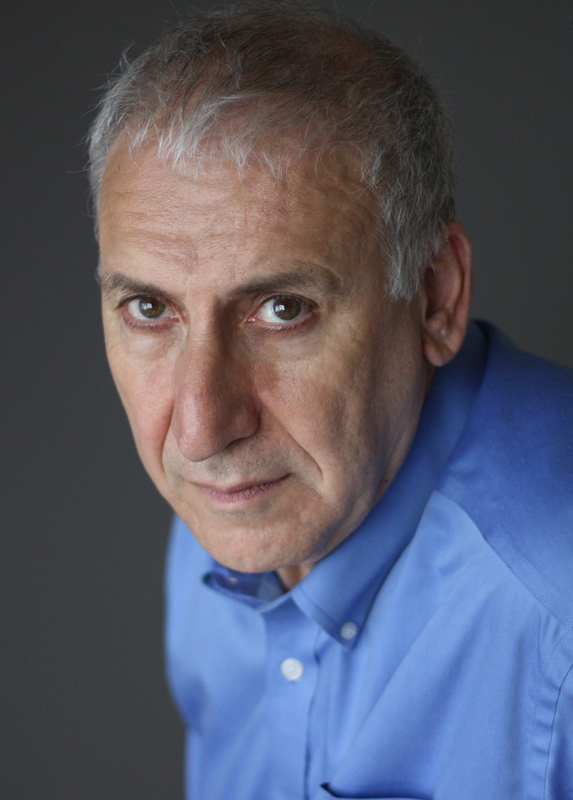 He is the author of six books of poetry: The Flying Garcias (University of Pittsburg Press, 1991); Rancho Notorious (BOA Editions, 2001); The Persistence of Objects (BOA Editions, 2006); Chickenhead, a chapbook of prose poems (Foothills Publishing, 2009); The Other Odyssey (Dream Horse Press, 2013); and The Chair (BOA Editions, 2014). He has also written My Aunt Otilia’s Spirits, a bilingual children’s book (Children’s Book Press,1978). 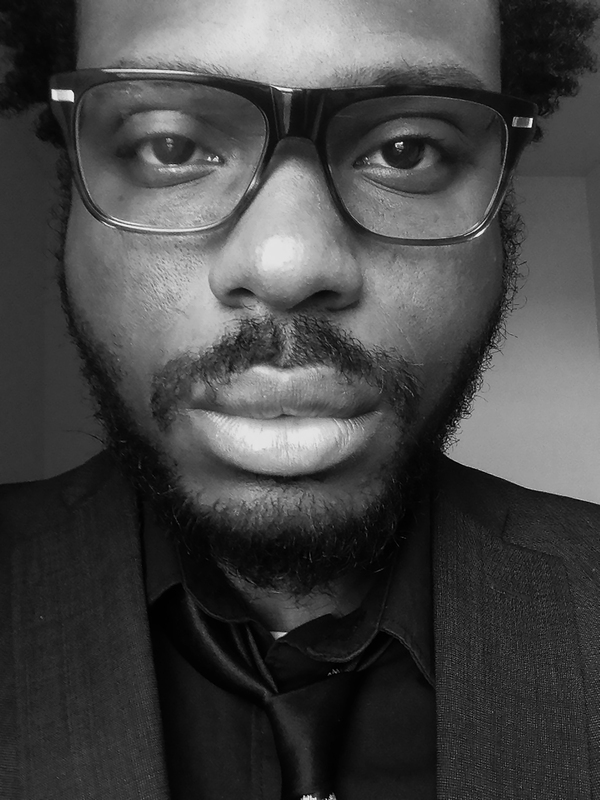 He is the recipient of a fellowship from the National Endowment for the Arts, a Pushcart Prize, the Cohen Award from Ploughshares, the Georgetown Review Poetry Prize, and the American Poetry Journal Book Prize. His poems appear in journals such as The Antioch Review, The Colorado Review, and The Georgia Review, and in several anthologies, among them The Best American Poetry 2005, Touching the Fire, Seriously Funny and The Best of the Prose Poem. From 1991-2002, he was a Poet-in-Residence at Children’s Hospital in Los Angeles, where he conducted poetry and art workshops for hospitalized children. 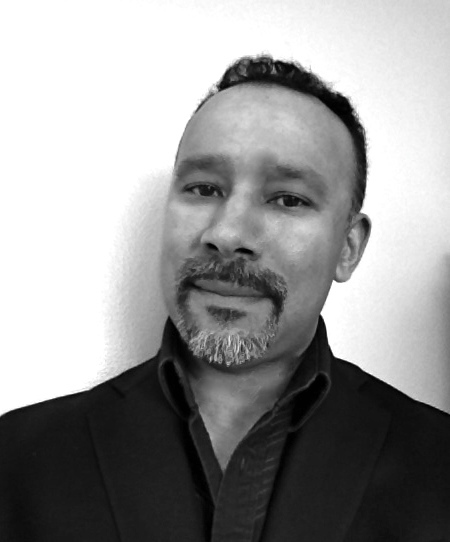 Garcia teaches creative writing in the Antioch University Low-Residency MFA program. He lives on James Island, South Carolina, with his wife, Katherine Williams, and their dogs Sully and Max. I read the short story collection The Girl in the Flammable Skirt after graduate school and I knew immediately that a fresh and important literary voice had arrived on the scene. I was thrilled to be able to take a UCLA extension writing course with Aimee Bender not long after I read her book and she made an impression on me as a teacher–how to take chances and explore possibilities. Two of the stories in my forthcoming short story collection Interrogations started in Bender’s class. Hope you enjoy insights into her creative life. How to pick one? Today I will pick William Maxwell, because I’ve taught his beautiful novel So Long, See You Tomorrow many times and every time it reminds me something crucial about plot/absence of plot and how big feelings can revolve around tiny moments. Blocks of time, stopping at a predetermined time even if it’s going well, no windows to look out of, no internet, no coffee shop, perhaps a yogurt. How has being a teacher affected your own writing? It supplies structure in my day and the pleasure of talking to smart students about writing which validates my own investment in this strange and wonderful and difficult thing a group of us do! Teaching is social, which provides a useful foil for the solitude of writing. The two acts are so different. Tangents are useful. Staying on point is not the point, especially in early drafts. Wander, explore, make messes. How does writing short fiction and novels impact the other genre? My stories are often longer now that I’ve written novels. Novels have helped train me in scene writing. Stories help with sentences, though sentences are pretty key to novels too. Both are hard and fun in different ways. So much! The first of the Knausgaard series was fantastic, Dept. of Speculation by Jenny Offill, and Silence Once Began by Jesse Ball both thrilled me, and I just read the David Shields’ conversation book I Think You’re Totally Wrong and found that pretty fun and stimulating to read, too. All the piles of rejections from journals and magazines I gathered over years. It was a trudge and I felt discouraged a lot. An agent said my stories were ‘little’ in a way that felt very defeating. I can play the beginning part of “Wish You Were Here” by Pink Floyd on the guitar. The easy part. 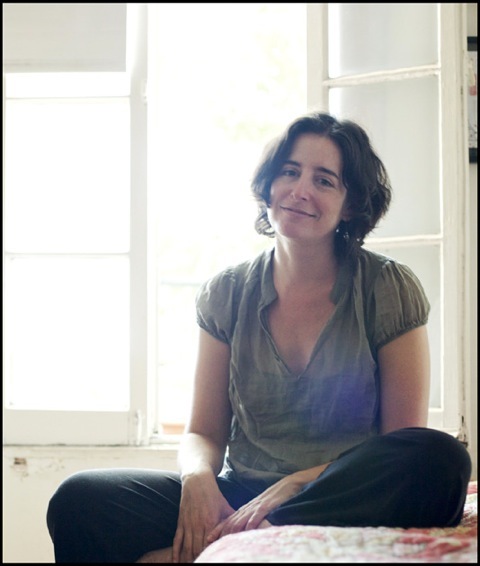 Aimee Bender is the author of five books, including The Particular Sadness of Lemon Cake and most recently, The Color Master, a NY Times Notable book of 2013. Her short fiction has been published in Granta, Harper’s, The Paris Review, and more, as well as heard on “This American Life.” She lives in Los Angeles. My first introduction to Antonya Nelson was in The New Yorker, and later as a friend raved about her as a teacher at Warren Wilson. I’m thrilled that she was able to share insights into her writing process with us. I have always been a very voracious reader, and the books that I loved as a young person certainly have played a role in my writing life. I loved, then and now, the clever syntax of Beatrix Potter and the gentle humor of Winnie the Pooh. As a teenager, I was drawn to works that provided me access to adventures I couldn’t quite pull off in my real life — Wuthering Heights, Jane Eyre, Catcher in the Rye, Fear and Loathing in Las Vegas. It’s hard for me to separate my writing life from my reading life, to be honest; I spend much more time reading than writing, always have, and continue to be fed, both in life and in writing, by the works of many, many very fine writers. My “process,” inasmuch as I have one, is not one I’d recommend to others. I am not somebody who writes every day (at least not fiction) and who has to be patient with allowing material to slowly accrue in me. It builds up (like a clogged drain) until I can’t not write. So the sink overflows. Or whatever. And then I have to work until I’m finished with the story. And then wait for the build-up again. How has teaching impacted your writing? Teaching has been a huge gift, as far as I’m concerned. It’s forced me to focus on the making of the stories I love, to read and re-read with an eye on design and manipulation and sheer artistry. Seeing how the masters do what they do has given me the best kind of guidance about my own (and my students’) work. What is the best advice you can give to a writer finding her/his voice? I’m a little suspicious of this “voice” notion, as I think it implies that writers have some unique way of saying what they say. Which isn’t true, in my experience. Rather, I think writers have a set of obsessions, a unique way of thinking, and a variable degree of discipline. Honing those things — and others — allows the work to prosper. How does being a short story writer and novelist influenced your work in the other genre? I would far rather write short stories than novels. And the one thing about me that I know for a fact is that any time I’ve written a novel it was because the material wouldn’t conform to the limits of the short story. When I say “limits” I mean only that the story I was telling wouldn’t feel finished in fewer than some 200 pages. The reader — and the writer — needed to spend a longer amount of time with the characters and their situations before the thing would be finished. Many of your stories cover the dynamics of the modern family. How is this theme important to you? There’s my central obsession, in a nutshell: family life. And the many ways that an unconventional understanding of it fascinates me. Mostly I like to take some conventional wisdom and overturn it, explore the ways in which tedious platitudes — “beauty is only skin deep” for instance — might be something to interrogate. I am bratty, at heart, and my brattiness began when I was a child in a large family. I’m still worrying my way inside and out of that character trait. A lot of my stories have scared me by vaguely predicting something happened later in my life. That’s not exactly what you’re asking about, but it’s the first thing that occurred to me. To write truthfully — honestly, scarily — is to know things that might not be altogether happy or wholesome. Hmmm. Well, let’s say I’m at a party full of extremely famous folks, of whom I am in awe, and I would love to be able to engage in some lively conversation, but odds are, I’m either in the kitchen with the caterers or upstairs with the banished children, because, in fact, those people in the end are far more likely to be funny and sweet and interesting to me. I’ll leave the famous writers alone, read and admire their work, and hang out with pets and kids and the help, whose irreverence is refreshing. But I think anybody who knows me already knows that? Antonya Nelson is the author of four novels, including Bound (Bloomsbury, 2010) and seven short story collections, including Funny Once (Bloomsbury, 2014). Her work has appeared in the New Yorker, Esquire, Harper’s, Redbook and many other magazines, as well as in anthologies such as Prize Stories: the O. Henry Awards and Best American Short Stories. 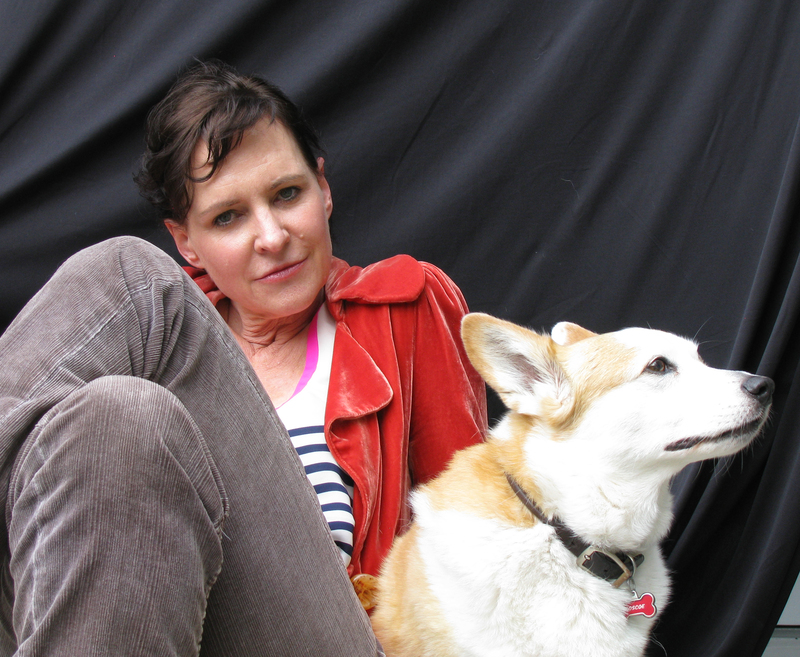 She is the recipient of a USA Artists Award in 2009, the 2003 Rea Award for Short Fiction, as well as NEA and Guggenheim Fellowships, and teaches in the Warren Wilson MFA Program, as well as in the University of Houston’s Creative Writing Program. She lives in Telluride, Colorado, Las Cruces, New Mexico, and Houston, Texas. When I first read the poem “There Are Birds Here” by Jamaal May, I acted like an unabashed fanboy and contacted him, asking if I could spotlight it on Writeliving. I have read the poem now countless times and I still feel as strongly about it as I did the first time. It isn’t just that the subject matter has my heart as a writer who grew up in Michigan. Simplicity: there is a real skill in using common words to portray something universal and resonant. The poem shows us that this is possible to accomplish without making readers look up words in a dictionary. Mystery: the poem spirals in and around important issues of place, belonging and perception without being preachy. Repetition: the mournful tone, like a song, carries a rhythm that circles back on itself and expands as it goes. These elements make the poem masterful. However, what really sets this work apart is how artfully “they” is weaved into the narrative. For me, this poem is as complex as Detroit. It makes me a better poet and it makes me yearn for Michigan. Thanks, Jamaal! his neighborhood is not like a warzone. children must be in your birdless city. Jamaal May is the author of Hum (Alice James Books), which received the American Library Association’s Notable Book Award, Foreword Review’s Book of the Year Silver Medal, and an NAACP Image Award nomination. In 2014 Jamaal received over a dozen awards and honors including the Spirit of Detroit Award, a Pushcart Prize, and a Civitella Ranieri Fellowship in Italy. Poems appear widely in magazines and anthologies like NYTimes.com, Poetry, The New Republic, Ploughshares, Please Excuse this Poem: 100 Poems for the Next Generation (Penguin), and Best American Poetry 2014 (Scribner). Jamaal is a Kenyon Review Fellow and co-directs Organic Weapon Arts with Tarfia Faizullah. Thanks to the multitalented Landon Godfrey for inviting me to participate in a blog tour to answer a few questions about my writing process. So Cal misses your many talents, Landon! I tend to work in multiple genres and I enjoy collaboration with other writers and artists. This is a difficult question as I work in multiple genres and my influences span beyond literature. Writers aren’t as unique as we’d like to think and each of us has a voice that we don’t probably give ourselves enough credit for. My fiction projects tend to be lyrical and musky with a focus on placing the spotlight on difficult characters. My poetry is influenced by my fiction and my lyrical sensibilities duke it out with a neurotic need for narrative. It’s a worthy battle and occasionally a good poem emerges from it. My sense of humor comes out more often in my writing for screen and television, often to my own detriment. Characters and their stories clamor for attention in my imagination. I have always been a daydreamer and inventor of tales, even to myself. The characters who yell the loudest and the longest get written. It’s a messy process, filled with conflict even at the point of inception. For starters, part of my writing process involves being a bit of a crank and a recluse, and to not get distracted by the many things that tempt all of us humans. For me, that’s meant shelving a few things like cable TV and fantasy sports in order to write. I carve out time between family, friends, and a marketing career. I’ve come to realize that inspiration is everywhere, including in my other creative work. I find ideas in day-to-day occurrences, the news, and the stories of the people in my life. As a late bloomer, persistence is key. Also, I don’t know how to not write. For me, it isn’t a choice. I try to write a little every day. It adds up. Who’s Next up on the Blog Tour? Follow the blog tour on Twitter at #mywritingprocess . Next up is John F. Buckley, a friend who has become one of my favorite writers and a huge influence on my work. A recent graduate of the Helen Zell Writers’ Program at the University of Michigan, John has been writing poetry since March 2009, when his attempt at writing a self-help book went somewhat awry. After a twenty-year stint on and near the West Coast, he now lives in Ann Arbor, Michigan with his wife. 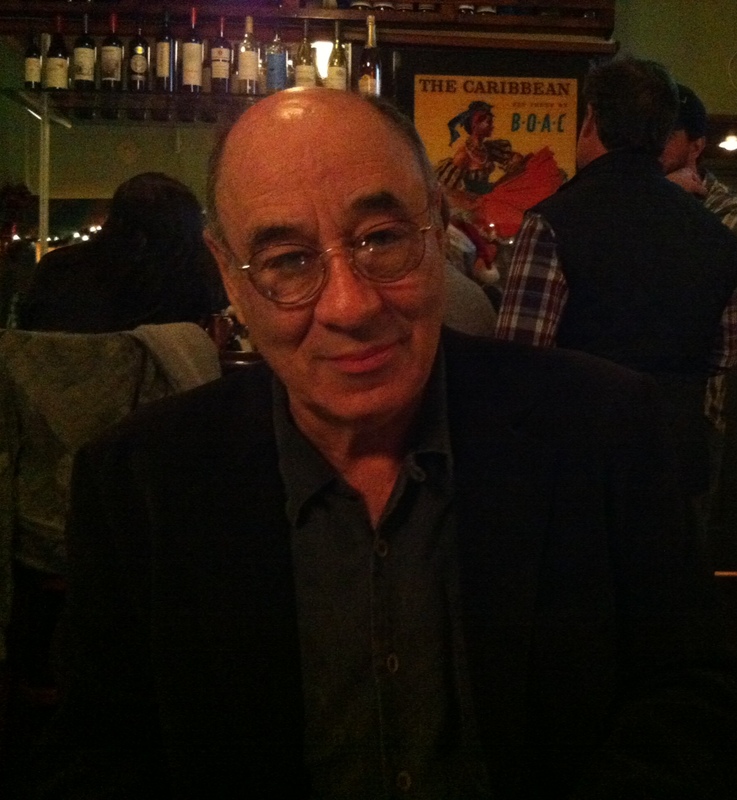 His publications include 295 poems, two chapbooks, the collection Sky Sandwiches, and with Martin Ott, Poets’ Guide to America and the forthcoming Yankee Broadcast Network. His website is http://johnfrancisbuckley.wordpress.com.